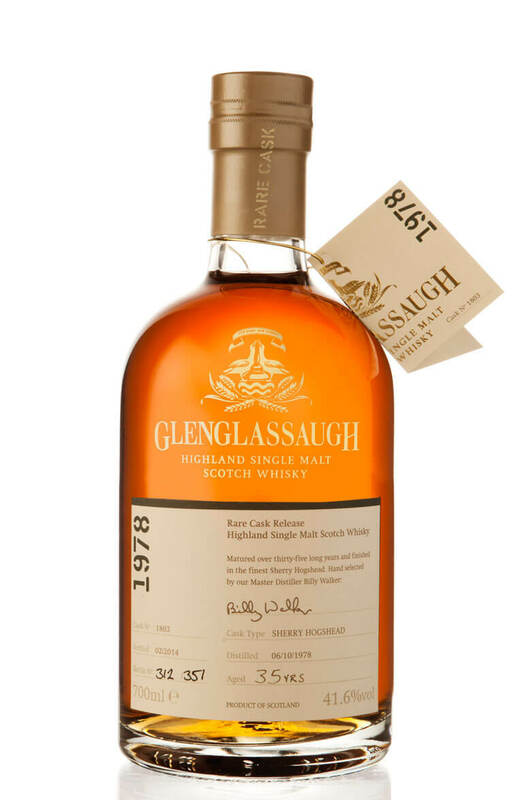 A special release from Glenglassaugh as one of their rare cask series. This was distilled on October 6th 1978 and bottled in February 2014 after being finished for an unspecified period in a Sherry hogshead. Just 351 bottles were produced. Types of Barrel used for Aging Finished in a single Sherry hogshead.